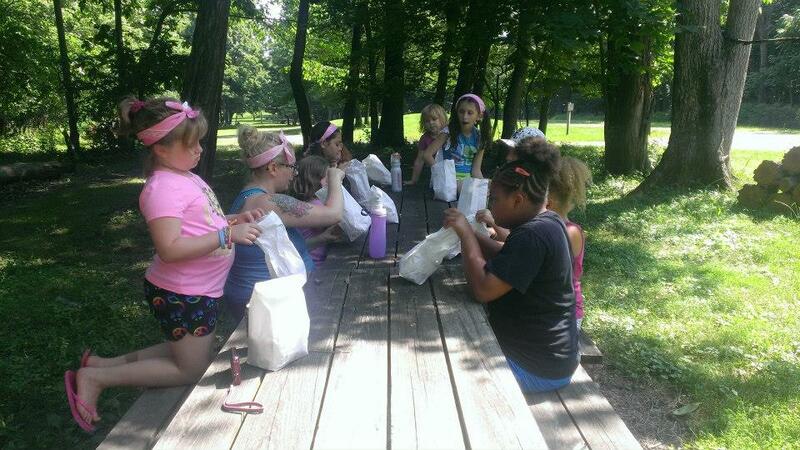 This past summer (2014) Troop 1391 had their first full weekend at camp and it was a blast rain and all these girls had fun! 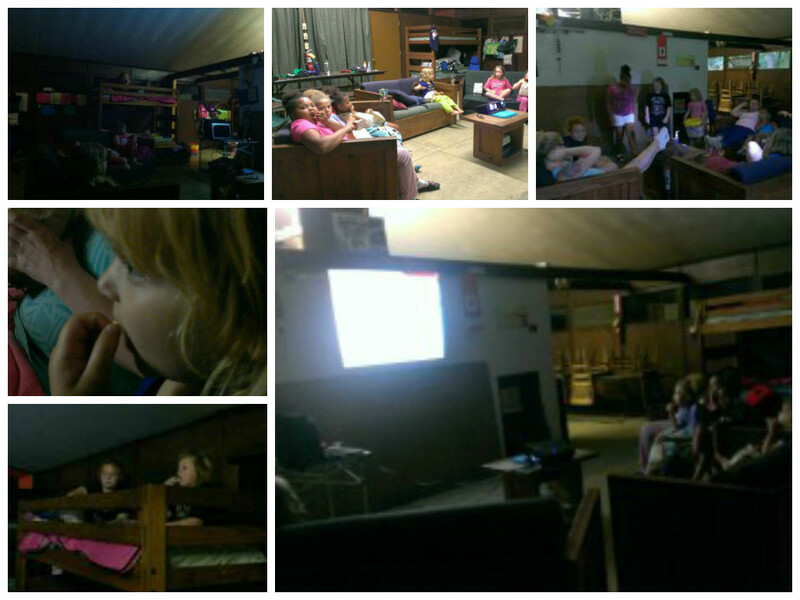 Our first night we watched movies and had popcorn while each of the girls arrived. 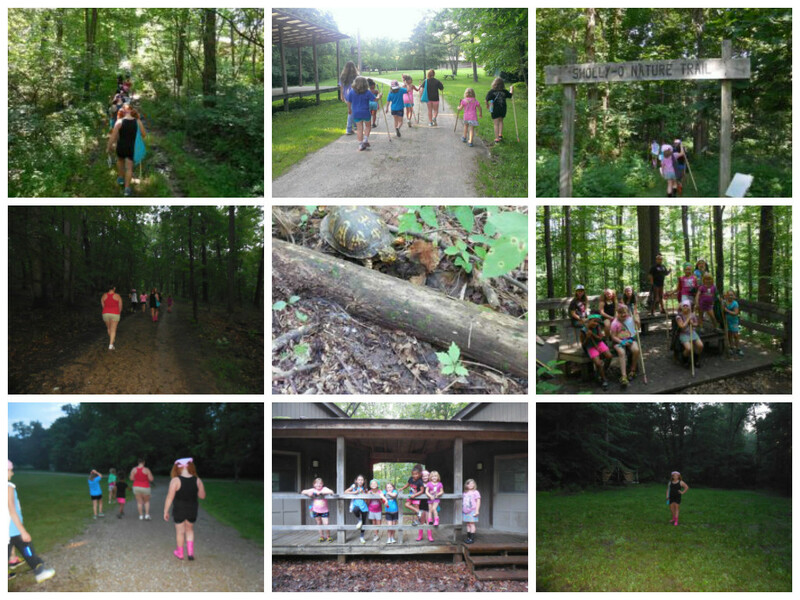 Some of the girls went on a hike while it was day light too. And of course they played a mean game of charades! The next day though they all went out Ms Lisa and Ms Erin took them during the day and then Ms Lisa and I took them for their night hike! 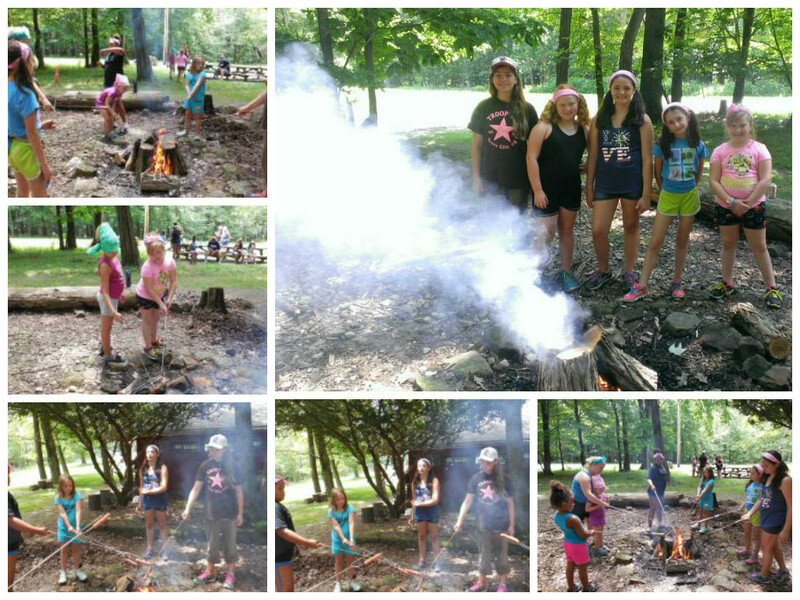 Our Juniors made a perfect fire for hot dogs smores and more! 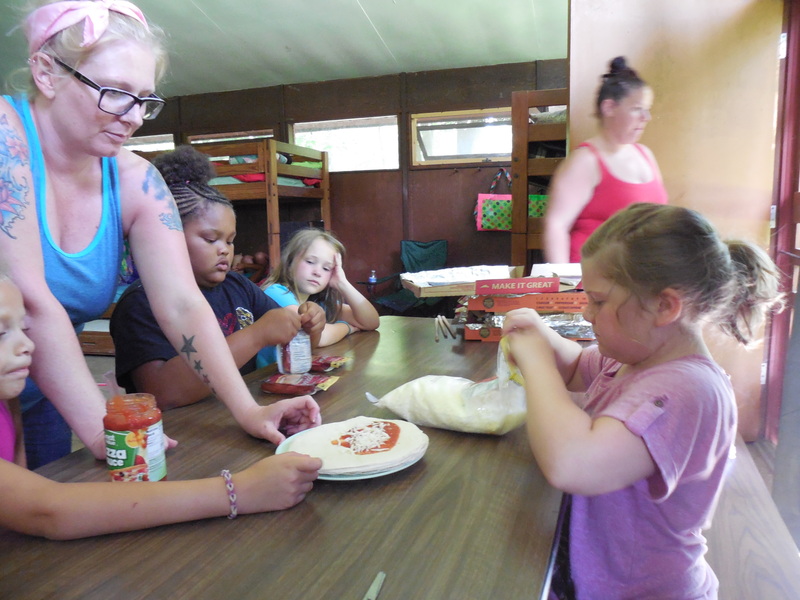 Our Daisies and Brownies made solar pizza! 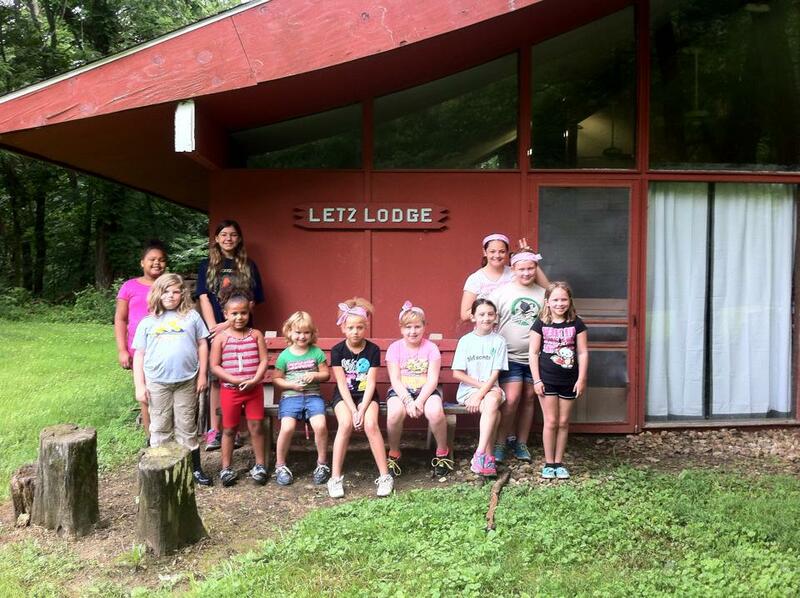 Pretty proud of these scouts! 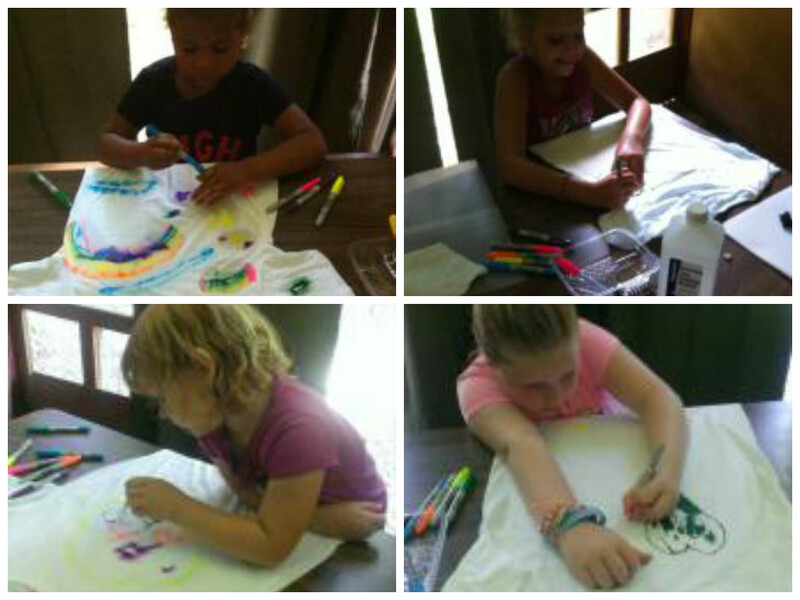 Of course we did crafts through out the weekend I send these kids home with a ton of stuff! 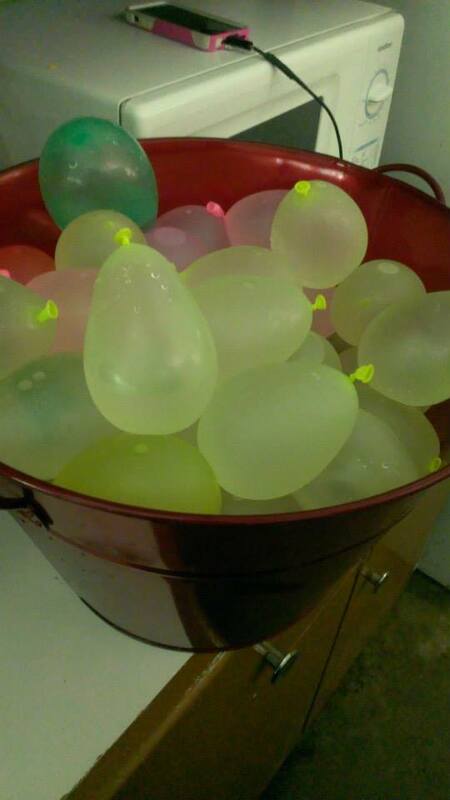 On day three our Daisies were getting a bit tired LOL (that’s the littlest pea right there getting too hot to move) SO…..
We brought out the water balloons and water blasters! 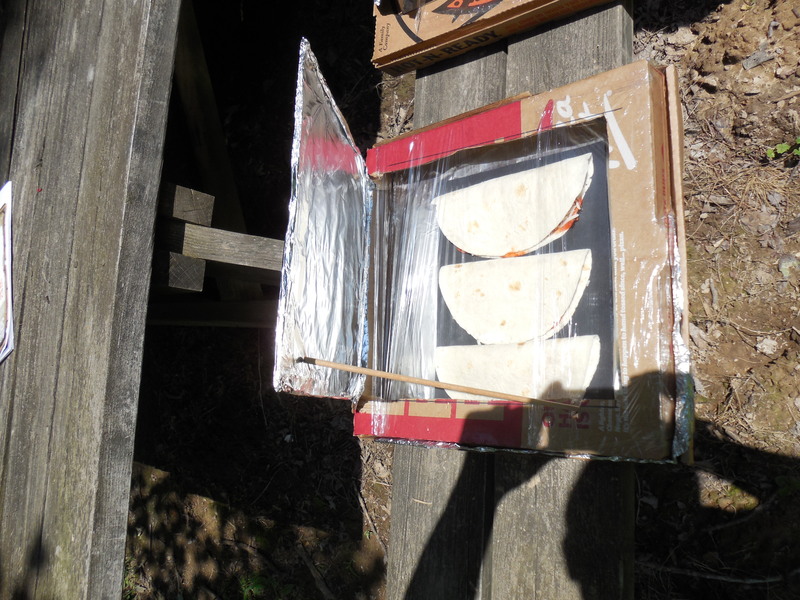 Here is our camp menu CAMP MENU and a letter for the parents on What To bring Now what we did with the walking tacos….we made it like a to go lunch in case parents came early it wouldn’t keep them from getting on the road. My whole troop cleaned the cabin and it sparkled I really believe we were the first ones there in quite some time because it was not in good shape either. 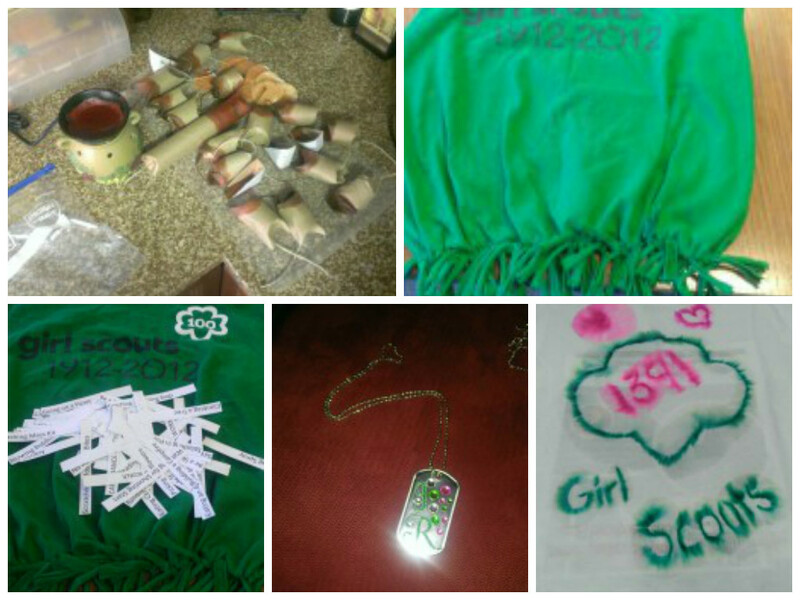 I am proud of my girls for taking the time to clean it up and make it wonderful for the next troop. 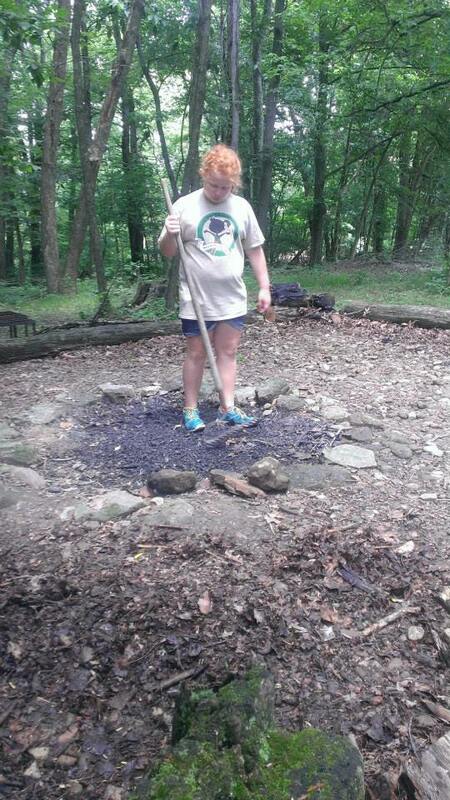 After the troop left; the peas and I stayed and clean the fire pit up (this was almost 2 hours of hard work but we did it! ), when we got there it was in horrible condition looks like the last people to use it never cleaned it out and it sat all winter. 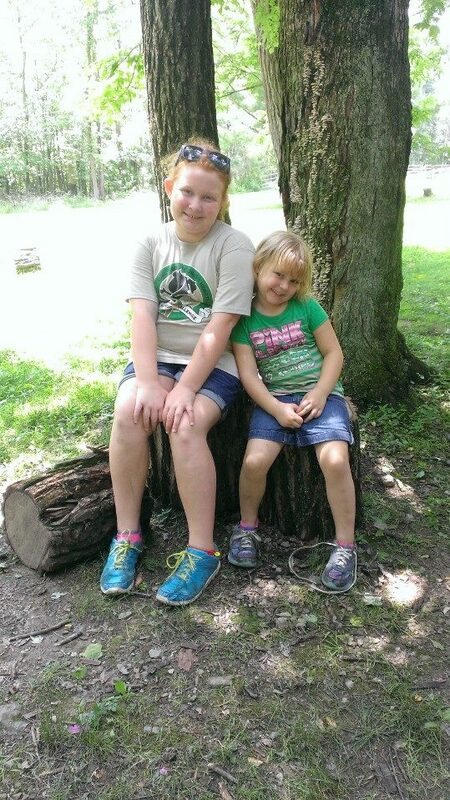 The youngest pea cleaned out all the chunks of wood laying around and the oldest pea helped me move the old ashes. Remember as a Scout you must leave things better than they were when you got there. One last shot of the peas and we were on our way home ! Hot sweaty messes ready to fight for the shower LOL! We can not wait until next year! 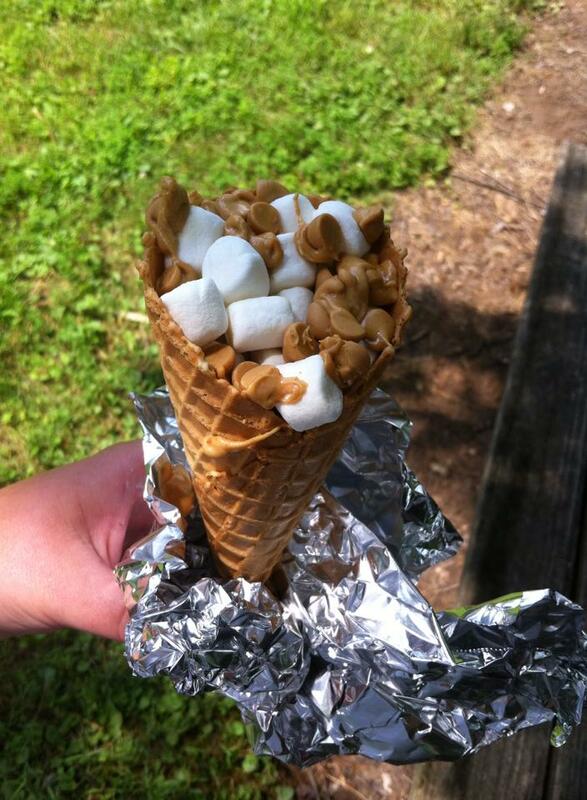 Here is a list of things I needed to make our weekend a success it may help you too! 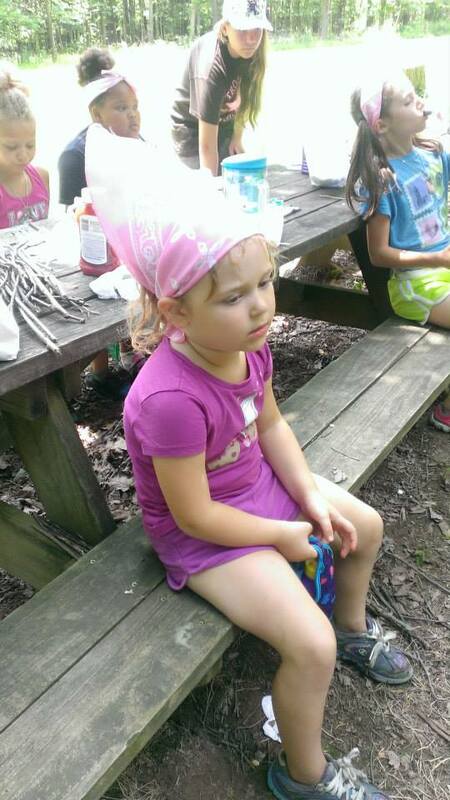 This entry was posted in Girl Scouts, Girl Scouts Troop 1391, My girls, Uncategorized and tagged brownie, camp, daisies, daisy, family, girl scout, girl scout camp, girl scouts, journal, juniors, kids, leader, scouts, sisters, smores, troop 1391. Bookmark the permalink.